If you have had TSR installed and it has suddenly disappeared, this article is for you. If you’ve tried to install TSR but are not able to see it, please see this article: I’ve tried to install TSR, but I cannot see the plugin in Outlook. 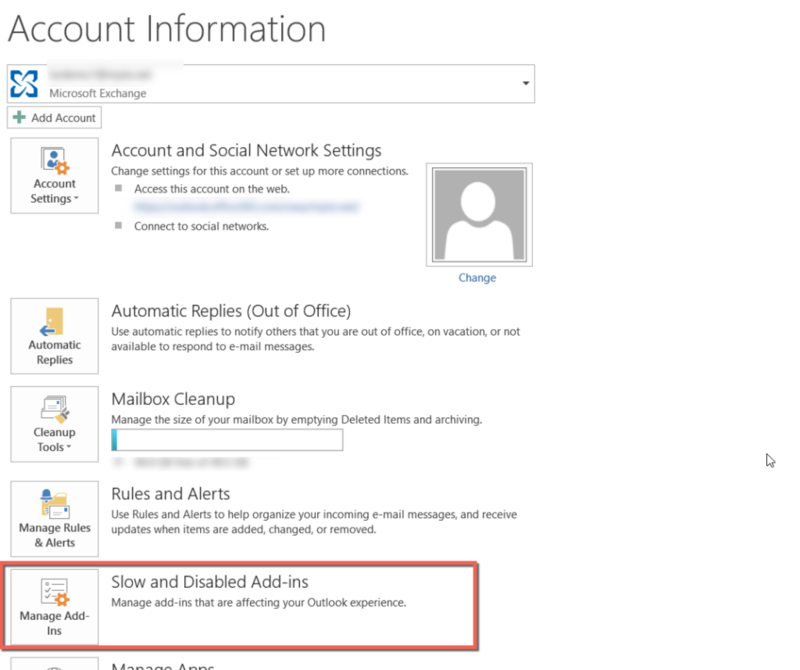 First please go to Outlook Add-Ins and check if TSR is available there. If it is, please see the above article. Otherwise, please proceed with the instructions below. 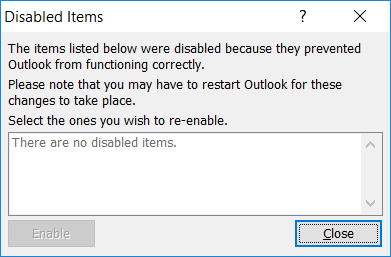 If you’ve had TSR installed and it suddenly disappears this is not due to TSR, but the way Outlook handles Add-Ins. 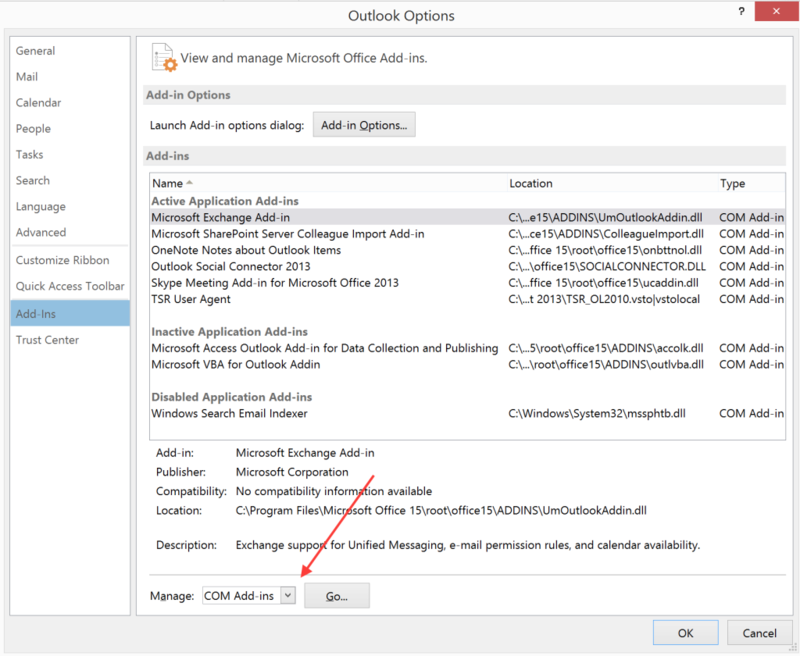 If your Outlook for example is not closed correctly or your computer suddenly shuts down without you having closed your programs this may also cause Outlook Add-Ins to disappear. Simply activate it from here and it should not disable again. 2. 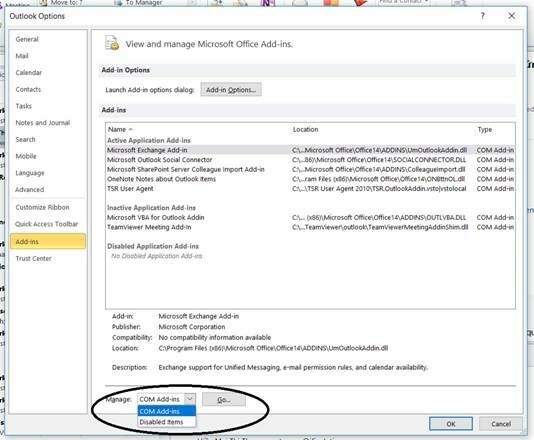 Make sure that the check-box next to ‘TSR User Agent’ is checked, and click OK.
TSR should now be available in Outlook again. If you’ve followed the above steps and TSR activates fine, but disables after each Outlook restart, it could be an issue with your Windows Registry.